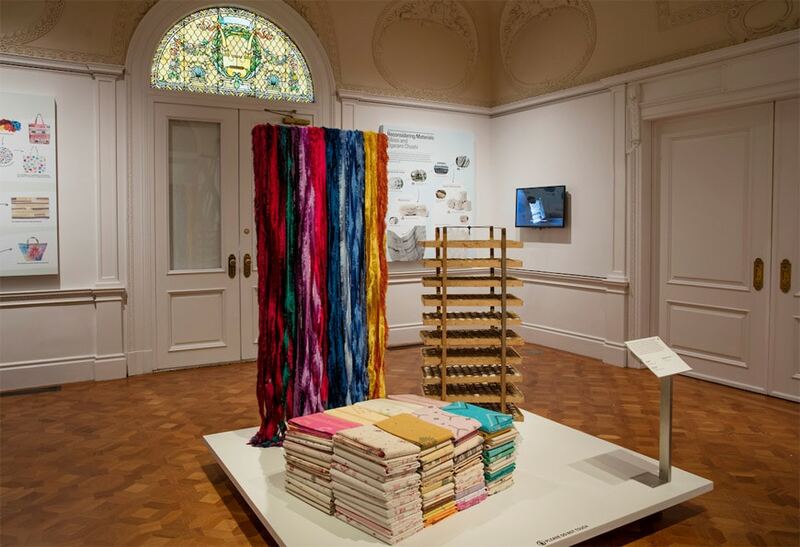 Featuring creative and alternative approaches to confronting textile industry waste, “Scraps: Fashion, Textiles and Creative Reuse,” on view at the Cooper Hewitt Smithsonian Design Museum until April 16, 2017, presents the work of three designers who put sustainability at the heart of the design process. Highlighting contemporary design that embraces the tradition of using handcraft to give new life to scraps and cast-offs, the exhibition showcases work by Luisa Cevese, founder of Milan-based design studio Riedizioni; Christina Kim, founder of Los Angeles-based brand dosa; and Reiko Sudo, cofounder of Toyko textile design firm Nuno. 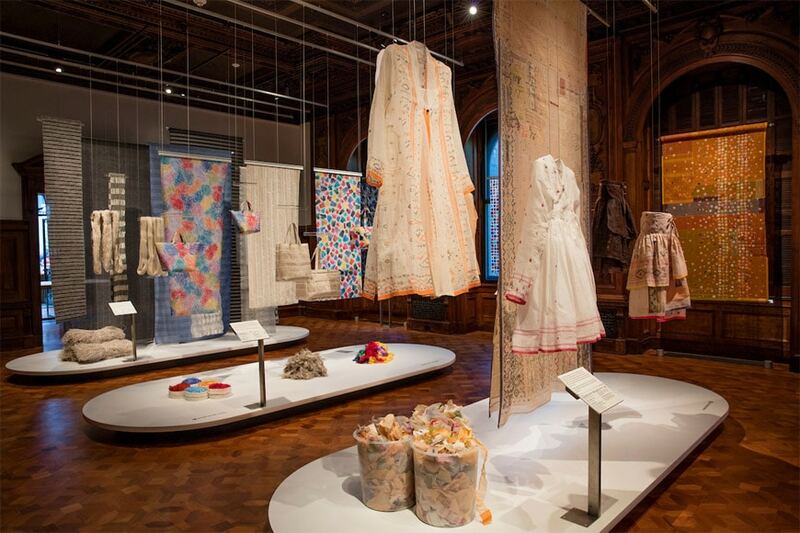 Above: Installation views of “Scraps: Fashion, Textiles, and Creative Reuse.” Photo by Matt Flynn © 2016 Cooper Hewitt, Smithsonian Design Museum. Above: Rectangular basket, 2002, textile since 2000; designed by Luisa Cevese (Italian, b. 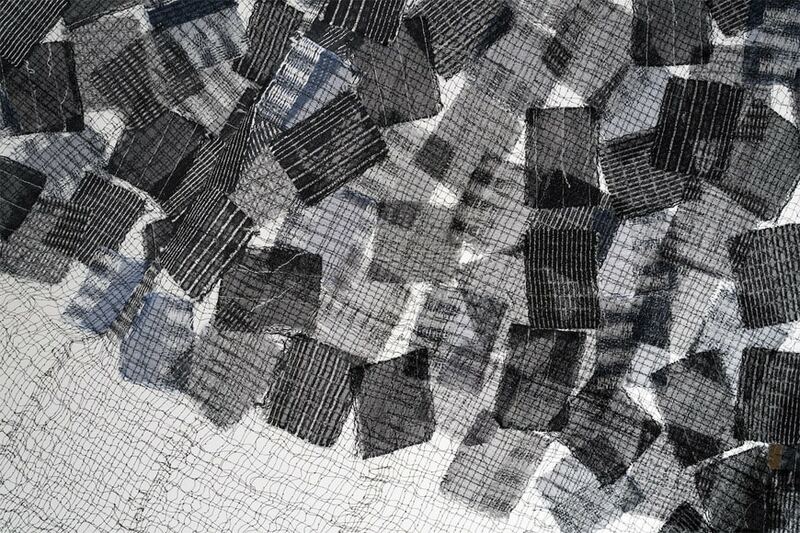 1955), manufactured by Luisa Cevese Riedizioni (Milan, Italy); damaged and discarded overdyed fishnets, polyurethane; 8 × 14 × 7 in. Through more than 40 works, the exhibition explores key facets of sustainability, such as the efficient use of materials and resources, the preservation of local craft traditions and the integration of new technologies in the recycling process. 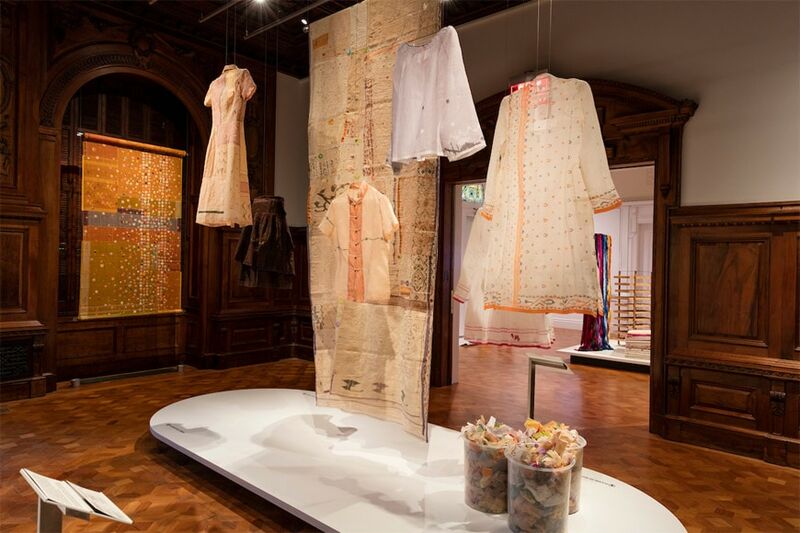 Works on view include tabletop accessories and handbags refashioned from silk selvage scraps by Cevese, appliquéd panels produced from recycled jamdani saris by Kim, and a variety of fabrics woven from kibiso, a luxury fiber Sudo developed using discarded parts of the silk cocoon. 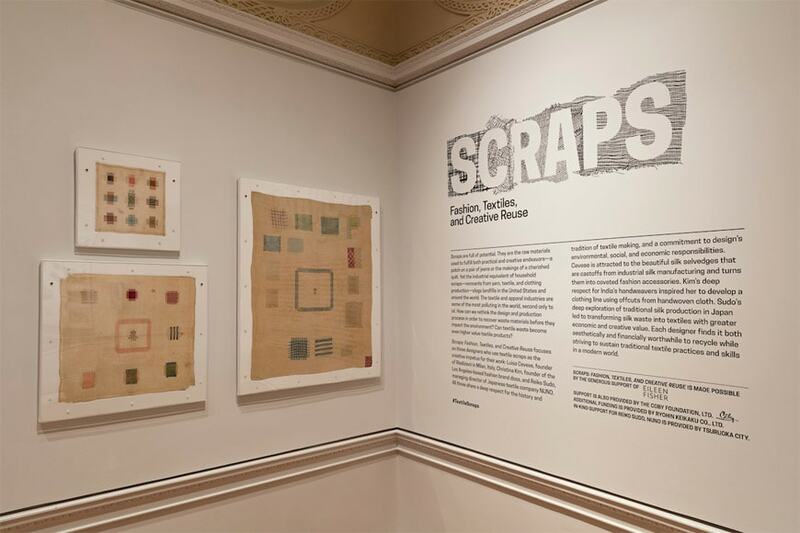 “Scraps” is organized by Matilda McQuaid, deputy director of curatorial and head of textiles and Susan Brown, associate curator of textiles. 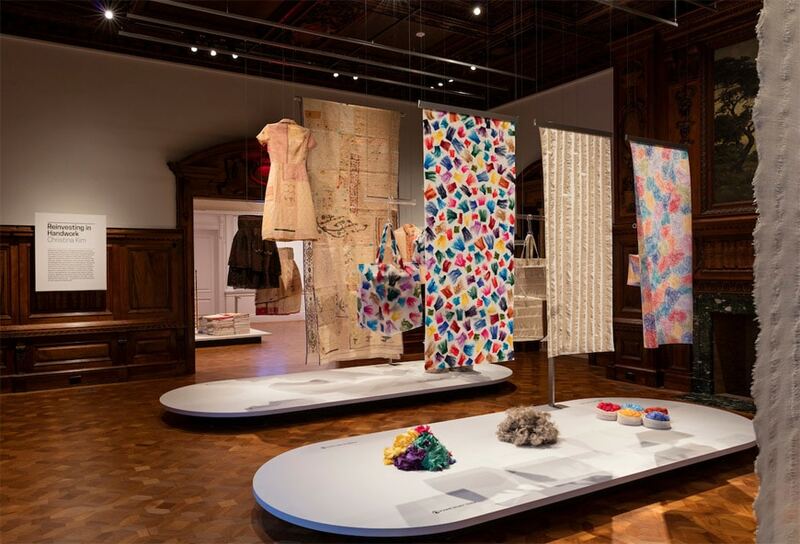 Above: Installation view of “Scraps: Fashion, Textiles, and Creative Reuse.” Photo by Matt Flynn © 2016 Cooper Hewitt, Smithsonian Design Museum. Luisa Cevese reappropriates production waste to create one-of-a-kind fashion and home accessories. 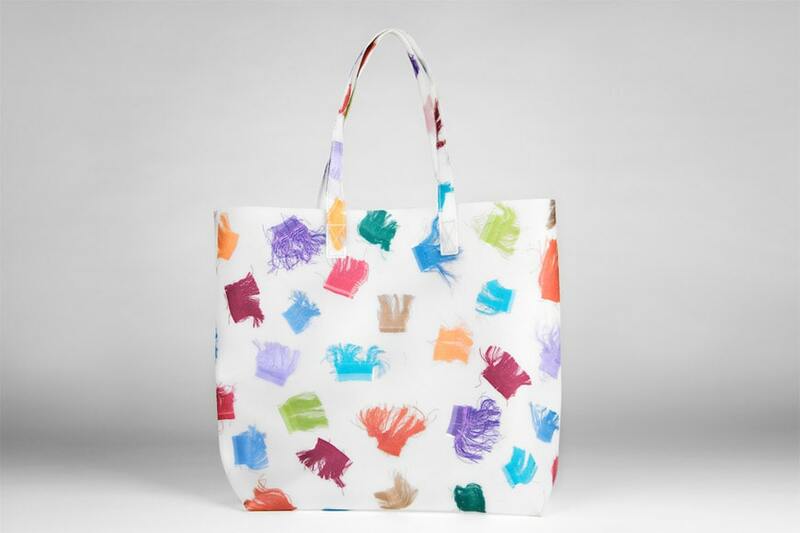 Her designs for Riedizioni, which she founded in 1996, are made with scraps gathered from various phases of the textile production process, which she encases in translucent polyurethane. A self-taught designer, Cevese began creating textiles for fashion and interiors in 1984, providing work for companies such as Dolce & Gabbana, Hermès, Chanel and Comme des Garçons. 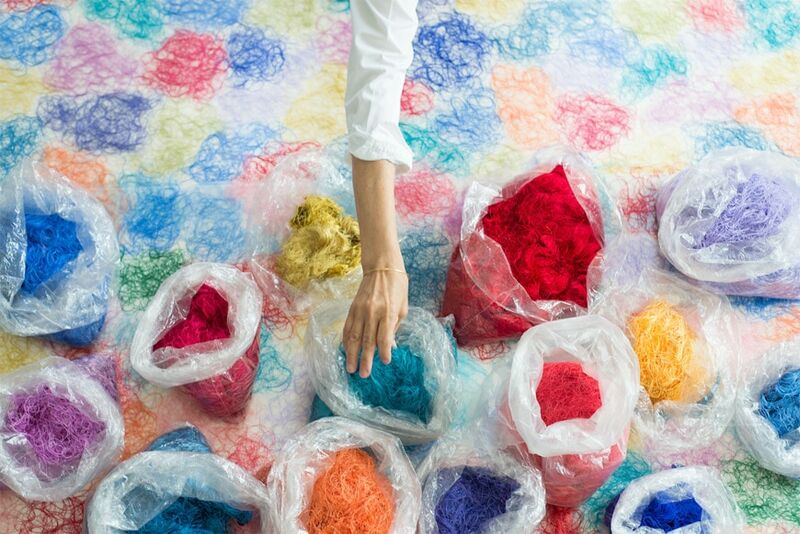 above: Luisa Cevese working on “Spread Threads” mat. Christina Kim’s fashion brand, dosa, uses a system-wide approach to reuse and recycling, including using cutting-room waste to create new products. 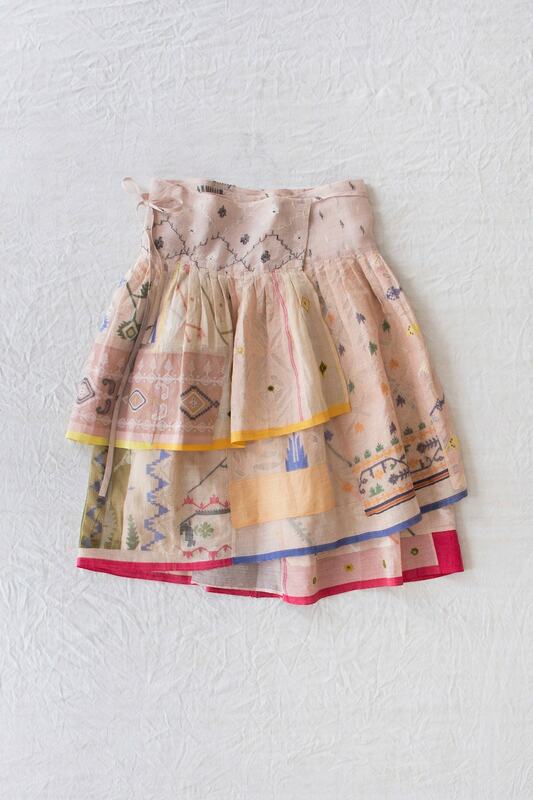 She draws on traditional, handcrafted and labor-intensive textile practices around the world, particularly India and Oaxaca, working with local artisans and engaging them in long-term collaborations. Widely recognized for her global and sustainable design practices, Kim was named by Time magazine as one of its Innovators of the Year in 2003 and received the “Innovation in Craft” Award by Aid to Artisans in 2006. 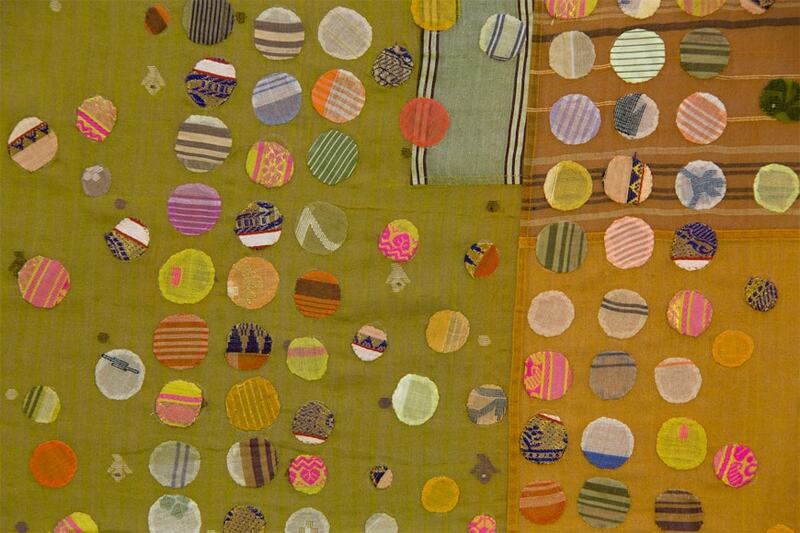 Above: Gee’s tikdi textile (detail), 2009. Designed by Christina Kim, produced by dosa inc. (Los Angeles, California).COPYRIGHT: dosa inc.
Bottom: Eungie skirt, 2008 collection. Designed by Christina Kim, produced by dosa inc. (Los Angeles, California).COPYRIGHT: dosa inc. In 1984, Reiko Sudo cofounded Nuno, a textile design firm at the forefront of innovation that combines the Japanese handcraft tradition with advanced technologies. Over the years Sudo has proposed different initiatives to reduce waste, such as recycling polyester garments and using leftover scraps to create new textiles. 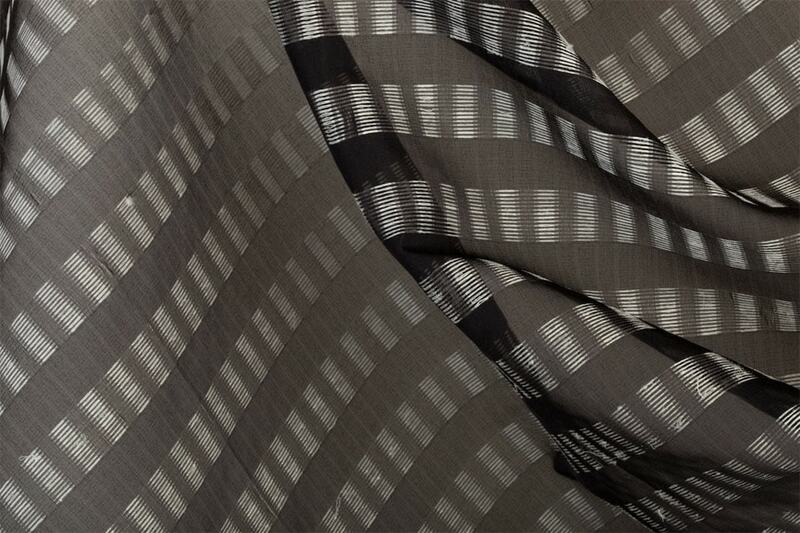 Nuno’s fabrics have been featured in exhibitions around the world, including the Museum of Modern Art, New York; National Museum of Modern Art in Tokyo; Textile Museum in Washington, D.C., and Fowler Museum at UCLA in Los Angeles, among many others. above: Kibiso Tsugihagi, 2016; Designed by Reiko Sudo, manufactured by NUNO Corporation (Tokyo, Japan); kibiso remnants machine-embroidered to a water-soluble base, base dissolved. Photo: Sue McNab. COPYRIGHT:Susan McNab & Nuno Corporation. Above: Textile, Itomaki Kibiso, 2009. Designed by Reiko Sudo, manufactured by Nuno Corp. (Tokyo, Japan). 100% silk (raw silk and kibiso). COPYRIGHT:Nuno Corp. 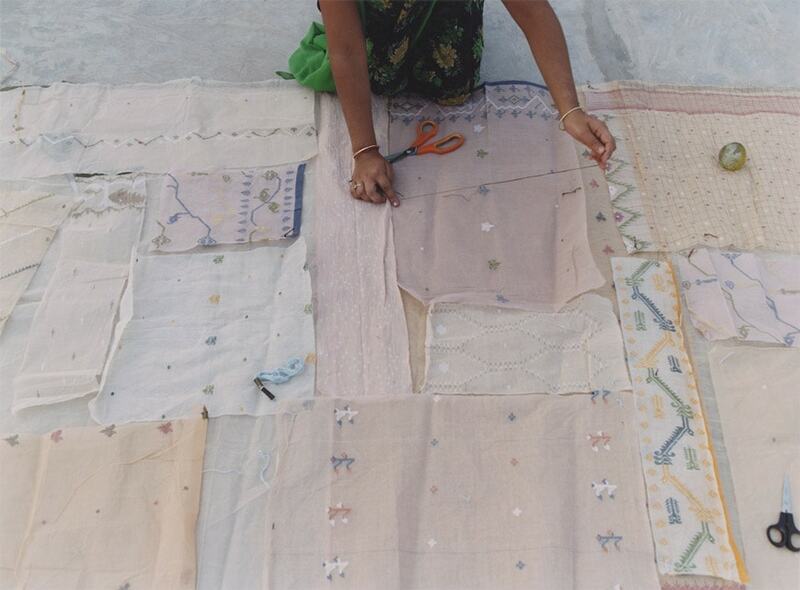 Above: Appliqué artisans laying out jamdani scraps on a base panel, Gujarat, India, 2007. 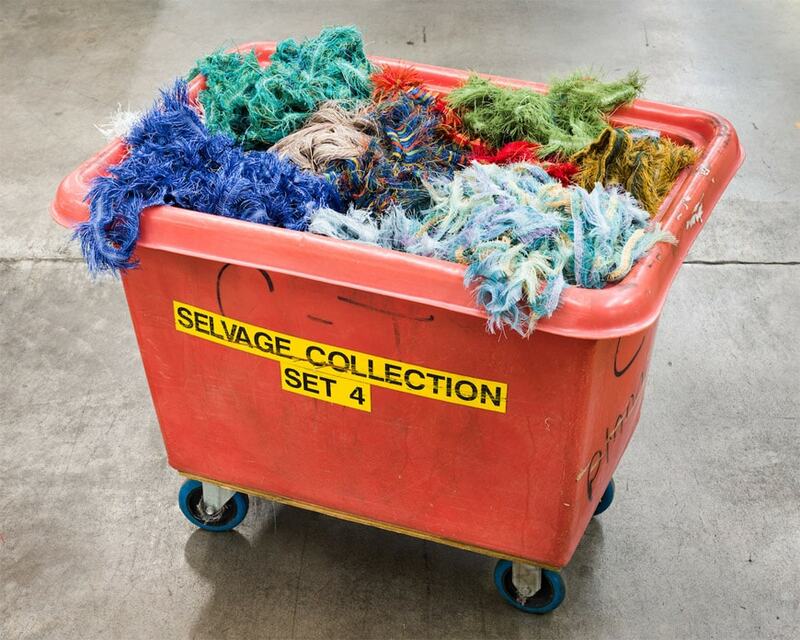 “Scraps: Fashion, Textiles and Creative Reuse” is made possible by the of Eileen Fisher. Support is also provided by The Coby Foundation, Ltd. Additional funding is provided by Ryohin Keikaku Co., Ltd. In-kind support for Reiko Sudo, NUNO is provided by Tsuruoka City. 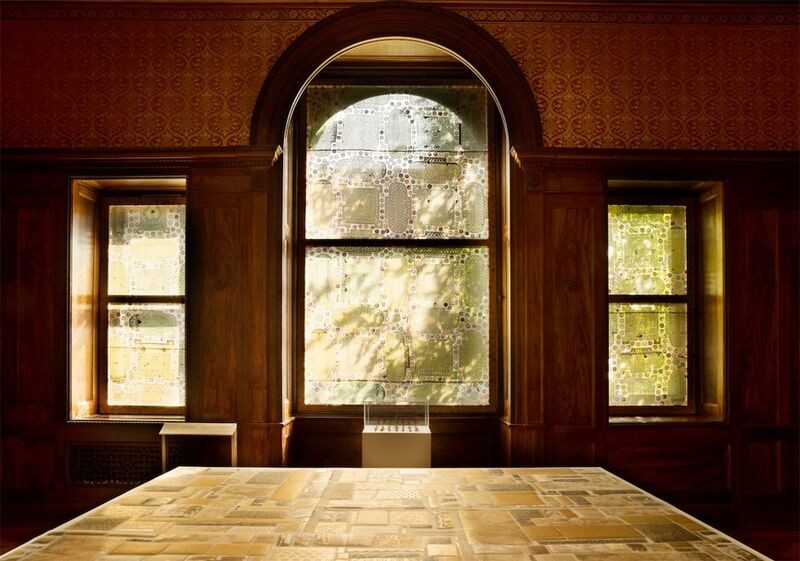 The Cooper Hewitt Smithsonian Design Museum in New York is the most important museum in the United States solely dedicated to design and decorative arts.